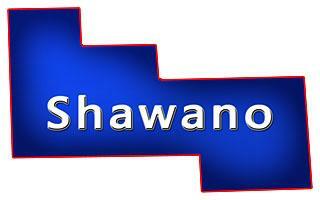 Shawano County, WI is located between Wausau and Green Bay on the eastern middle part of the state with the Wolf River winding through it. Shawano is known for its recreation trails, golfing, ATVing, snowmobiling, biking, cross country skiing, fishing, hunting, parks, public land, boating, rafting which also has Kroenke Lake State Natural Area, Jung Hemlock-Beech Forest State Natural Area, Shawano Lake State Fishery Area, Shawano Lake, Wolf River Bottoms State Natural Area, Navarino State Wildlife Area plus a couple communities including; Wittenberg, Red River, Thornton, Bonduel, Angelica, Navarino and Shawano. It's surrounded by 8 other Counties; Langlade, Menominee, Oconto, Brown, Outagamie, Waupaca, Portage and Marathon. On this page you will find Lakefront Properties, Riverfront, Private Ponds, Creek Frontage, Stream Frontage, Waterfront Cottages, Waterfront Lots and more located in this county listed by real estate agents. More information on Central Wisconsin.